There is much of interest in the area and the hospitality at the Green family's beautiful house is wonderful, making this an excellent base for a peaceful and very relaxing break. Conferences/Banqueting (50/140). Rooms 6 (all en-suite, 1 shower only, all no smoking). B&B from €135pps, single from €150; children welcome (under 3s free in parents' room, cot available, free of charge, baby sitting arranged); free Broadband wi/fi; dogs permitted (staying in bedrooms). French is spoken. Garden, croquet, fishing, tennis, 7-a-side football pitch, walking, cycling. D daily at 8pm, non-residents also welcome (all by reservation); 4 course D €60; house wine from €29. Closed 23 Dec - 1 Jan. Diners, MasterCard, Visa. 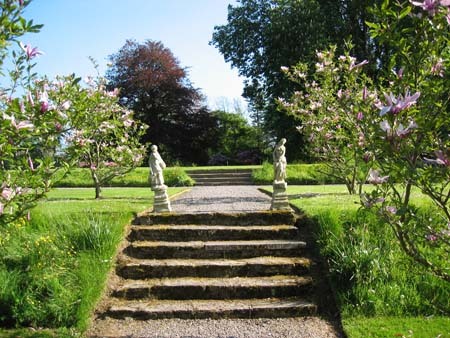 The Green family’s gracious mansion is surrounded by its own farmland, magnificent wooded grounds, a trout lake and formal terraced gardens - garden lovers will find a stay here especially rewarding. 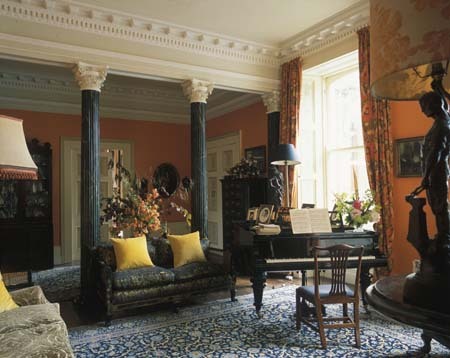 The Italianate style of the present house - including a remarkable pillared hall with a baby grand piano and open fire - dates from the mid-19th century when modifications were made to the original house of 1728. Jeremy and the late Merrie Green first welcomed guests to their home in 1983, and is now run by their son Justin and his wife Jenny. Justin brought management experience in some of the world's top hotels to the family business and they are an extremely hospitable couple, committed to continuing the standards of hospitality, comfort and food for which this lovely house is renowned. 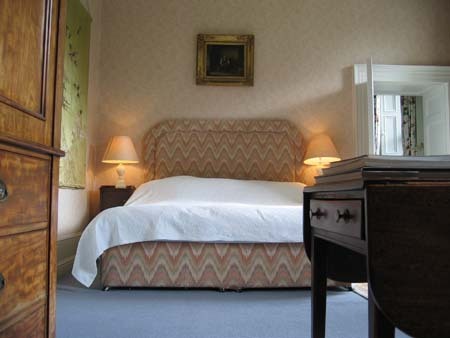 Elegantly furnished and extremely comfortable, it has big log fires, and roomy bedrooms furnished with family antiques look out over beautiful grounds. Ballyvolane has private salmon fishing on 8km of the great River Blackwater, with a wide variety of spring and summer beats, so it is logical that delicious food should be another high point, and memorable modern Irish dinners are served in style at separate tables or around a long mahogany table, depending on the occasion. The style celebrates the country house tradition, with all ingredients home grown or sourced from the local area, and organic where possible: wholesome house specialities include wild garlic soup, roast rib of McGrath’s Hereford beef with béarnaise sauce, and carrageen moss pudding with walled garden rhubarb. And, of course, the ultimate treat is pork from their own Ballyvolane House free-range saddleback pigs - which are often spit-roast whole for big gatherings. A carefully chosen, evocative and very informative wine list complements the food; among the treats in store you’ll find a clutch of lovely house wines (including an organic red), half a dozen champagnes, and a good choice of dessert wines. 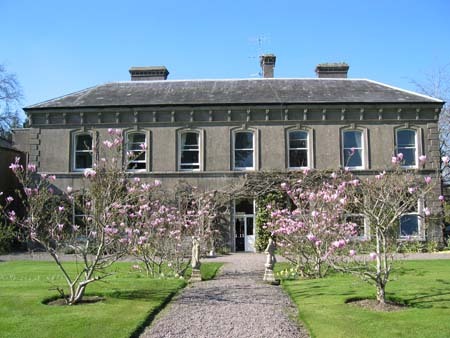 Ballyvolane House works closely with other like-minded businesses in the area, including Green Saffron (spices) in Midleton and the Dungarvan Brewing Company, and joint events are sometimes held at Ballyvolane. A lovely relaxed guest Drawing Room at the back of the house - formerly the kitchen - has been restored and looks as if it has always been that way, and a wonderfully stylish yet understated venue for weddings, events and gatherings has been developed in the gardens. A vintage tent with a paved floor backs onto an old stable block which has been cleverly converted to create an old-world rural Irish bar, with space for dancing; nearby, extra 'glamping' accommodation has been provided for guests in luxurious bell tents and 'camping arcs' in the gardens. There is much of interest in the area and the hospitality is wonderful, making this an excellent base for a peaceful and very relaxing break. 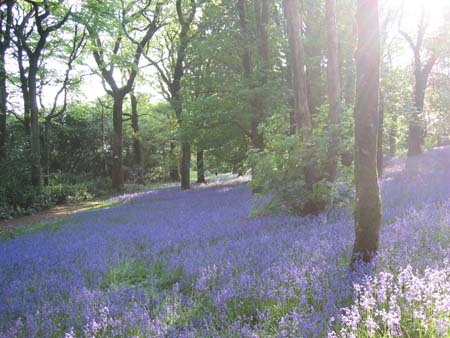 Families are made very welcome and Ballyvolane was our Family Friendly Destination of the Year in 2011; it is always lovely but on several weekends during the year (half terms, Easter) unusual child-focused breaks 'with the Little People' are offered, which are great value and fun for all ages. 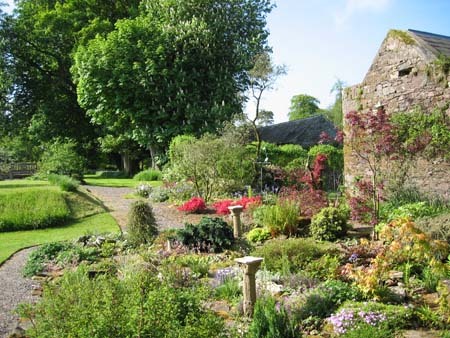 A self-catering cottage is also available, as well as theirdelightfully unusual summer accommodation in the garden. And then there is their latest project, the 'house gin', Bertha's Revenge...Ireland's first whey-based gin, it is a real original and, unsurprisingly, another great success. Turn right off main Dublin-Cork road N8 just south of Rathcormac (signed Midleton), following house signs on to R628 .